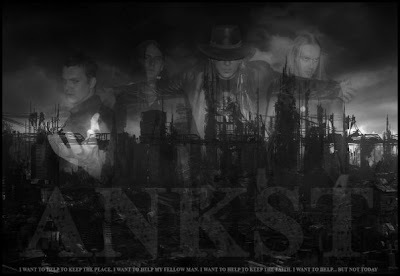 Formed late in 2006, ANKST was originally a concept project intended to provide Durban with their very own Traditional Goth band. The idea was to stick to the original "recipe" and create a strait-down-the-line Trad Goth band, borrowing heavily from the likes of The Sisters of Mercy, Fields of the Nephilim, The Wake and various other first and second generation Goth bands. Although these influences come through as intended, there is something very original about the band that is very difficult to single out.